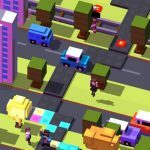 With Mighty Games having recently released Shooty Skies, there’s been some attention re-focused on Crossy Road (Android, iOS), as Mighty Games feature a few people who worked on the latter title for Hipster Whale. But the reason behind this renewed attention may be because Hipster Whale has released a new update, adding nine more unlockable characters. Many of these unlockable characters are based on team-ups involving Hipster Whale and other developers, including some of those traditional “secret” characters that aren’t available to unlock by conventional means. 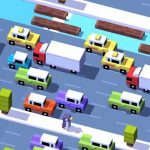 With that being said, the character in question is the Totem from Monument Valley, and the next couple of Crossy Road tips and tricks will show you just what you need to do to unlock it. We’ve also got some tips that could help you in unlocking the other characters who, like the Totem, come from other games that were co-developed by Hipster Whale people. The Totem is one of the Monument Valley characters available through the new update, with the other ones being Ida, who is the protagonist of that game. Two other Monument Valley characters, namely “A Crow” and The Storyteller, are also unlockable via the gacha. So in order to unlock the Totem, you’ll have to play as one of the other three characters, may it be Ida, A Crow, or The Storyteller. While playing as one of the aforementioned characters, head to the river with square-shaped logs. You will soon find the top of the Totem peeking out from the river. When you see it, jump on it, and complete the round in order to unlock it. We also featured Land Sliders recently, and it’s currently available as an App Store exclusive (for now), just like Shooty Skies. In order to unlock Turny and Astronaut from that game, you have to go to the gacha and spend 100 coins. It’s all a matter of luck here, just like it is with other characters you can unlock from the gacha. As for Qw33goorpps, Hooty, and Shooty Cat from Shooty Skies, the technique is the same as above – you can randomly win them from the gacha by spending a hundred coins. Shooty Cat, however, is free as a limited-time offer. 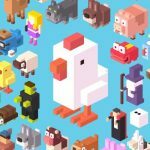 Do you want to unlock other hidden characters in Crossy Road? Check out the links below, that will help you do just that! That’s all for now. 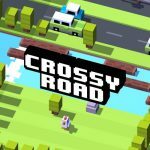 If you know any other Crossy Road tips, tricks and hints, feel free to share them with us!